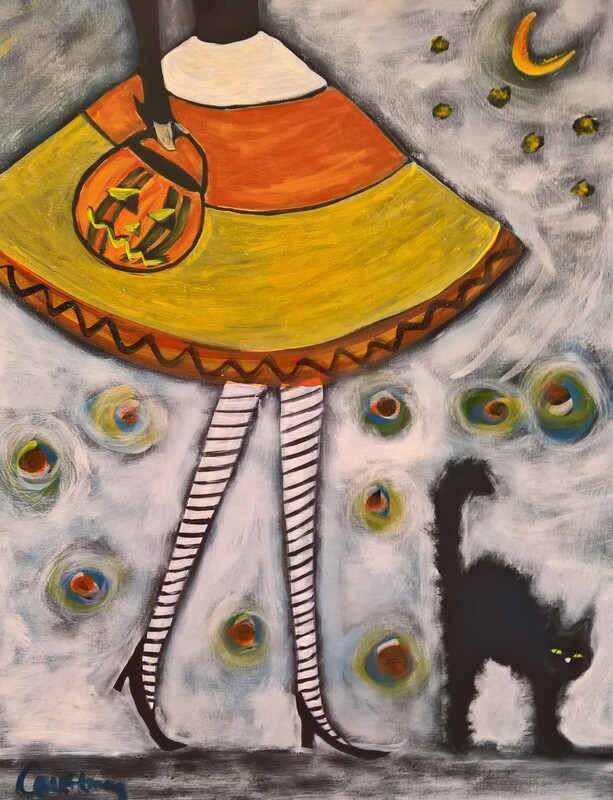 I painted another Halloween painting last night! My friends and I have been waiting for a good one to be added to the calendar and we found it! The class was sold out, and the painting was harder than we thought it would be, so we were glad it wasn’t our first painting rodeo. The three of us together didn’t require the amount of help that a single new person needed, so we’re making progress. Ha! Categories: Holidays, My Free Time, Painting, Seasonal | Permalink.